Speaking of music, this year I was particularly interested in the music based photos of Genesis Publications’ booth. 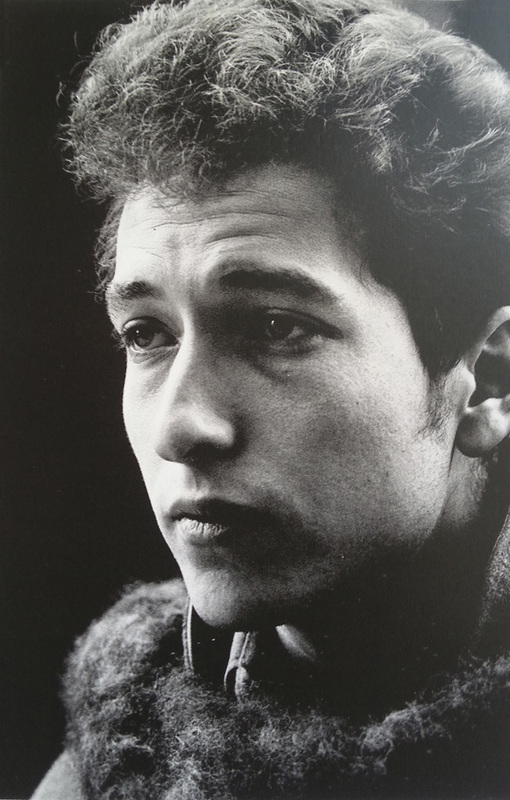 The photo of Bob Dylan here is from a book of theirs called Behind The Picture Frame about Dylan. Genesis was founded in Surrey, England in 1974 by Brian Roylance, who had been a student of the London College of Printing. His goal was to create a company in the traditions of the private press, with an emphasis on the arts of printing and book binding. Currently led by his son and daughter, Nick and Catherine Roylance, the company produces signed, limited edition books that are created in close collaboration with authors and artists, mainly regarding music and culture. Genesis ships books to collectors in over 50 countries. Approximately 100 signed limited editions have been created with renowned and varied authors. Their editions are featured in the collections of the world’s finest libraries, including New York Public Library’s Rare and Fine Printed Book Department. Authors and contributors who have participated in Genesis limited editions include Eric Clapton, George Harrison, Keith Richards, Ronnie Wood, Ringo Starr, David Bowie, Pete Townshend, Yoko Ono, Tom Hanks, Steven Spielberg, Sir George Martin, Sir Peter Blake, Sir Roger Moore, Michael Palin, Ravi Shankar, as well as sporting icons such as Sir Jackie Stewart, Sir Brian Lochore and Michael Owen. On Thursday the 30th legendary rock photographer Mick Rock joined the Genesis stand to talk about his and the late Lou Reed’s book, Transformer. Mick spoke about his longtime friendship with Lou and their collaboration on this book. Mick also signed book plates for subscribers of the limited edition. Activity such as this along with thousands of eclectic images to view makes AIPAD a must see for any photography buff. Be sure to attend next year. Visit their website at AIPADShow.com.